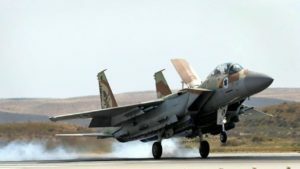 The “number one” leader of Islamic State of Iraq and Levant’s (ISIL’s) Sinai affiliate was killed in an Egyptian airstrike, a spokesman for Egypt’s military said. Abu Duaa al-Ansari was among more than 45 jihadists killed in the operation. Abu Duaa al-Ansari was killed in an operation south of the Egyptian coastal city of El-Arish that also killed more than 45 other jihadists of the ISIL affiliate Sinai Province, Brig. Gen. Mohammed Samir said in a Facebook post. Several senior leaders of the terror group were among those killed, Samir added. Al-Ansari was the “number one” leader of the terror group behind scores of deadly attacks on security forces and the suspected downing of a Russian airliner, the Egyptian army said. The Egyptian operation was carried out jointly by the air force and the anti-terrorism squad, according to Samir’s statement. Dozens of other jihadists were “targeted with precise hits” in the operation against the group’s strongholds in the south and south-west El-Arish, the army said. The operation destroyed depots where weapons, ammunition and explosives were stored, it added.